"In 1492, Columbus sailed the ocean blue." We all remember this rhyme from school, but each year, Italian-American community in New York City shows their pride for their "hometown hero" Christopher Columbus with one of the largest annual parades. October 12th is the official anniversary of Columbus' arrival to American shores, but in the United States, the holiday is celebrated on the second Monday in October. While the St. Patrick's Day Parade and the Thanksgiving Day Parade draw tremendous crowds and make it tough to get around the parade, the Columbus Day Parade has all the great features of an NYC parade without the need for intense planning or dealing with lots of crowds and chaos. The Columbus Day Parade has been organized by the Columbus Citizens Foundation in New York since 1929. Over 35,000 people participate in the Columbus Day Parade in New York City each year, including over 100 groups, with bands, floats, and contingents. 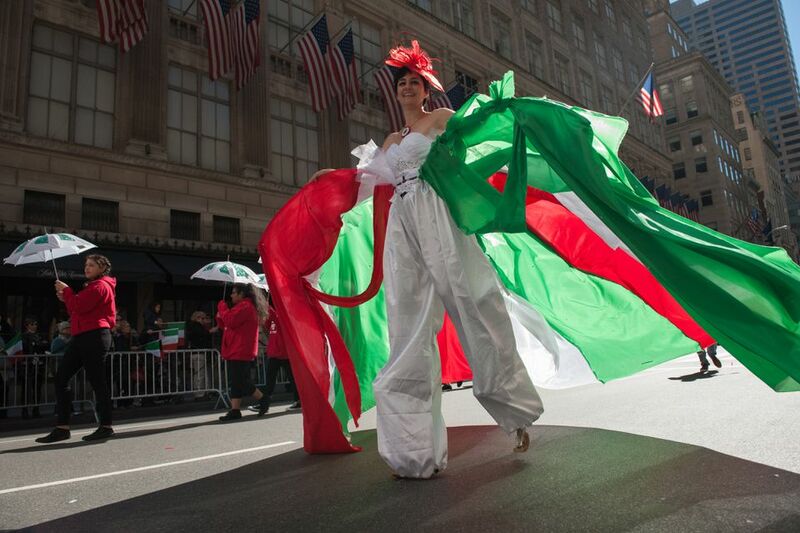 The parade attracts nearly one million spectators and is the largest celebration of Italian-American culture in the world. The Columbus Day Parade will take place on Monday, October 8, 2017. The parade begins at noon and lasts until 3 p.m. The route begins on Fifth Avenue at 44th Street and continues north along Fifth Avenue to 72nd Street. The grandstands will be located on Fifth Avenue between 67th and 69th Streets. Where you choose to the view parade should be determined by personal taste. The most scenic spots for viewing are along Central Park, of course, but for many—New Yorkers and suburbanites alike—Midtown acts as a transportation hub, and each year there are live performances near 67th Street, so no matter where you end up, they'll be something special along the route. Before the parade, a mass will be held at St. Patrick's Cathedral (50th Street/Fifth Avenue) at 9:30 a.m. Tickets are required for entry before 9:15, but at 9:15 they open the cathedral to additional attendees as space allows. The early service will allow for enough time to secure your favorite spot along the parade route when the mass is complete. After the parade, salute Christopher Columbus again by enjoying Italian food at one of the many great options around the city. Your best bet is to head to Little Italy for the ambiance, authenticity, and abundance of restaurants. With a full belly, the last (and arguably best) way to honor Mr. Columbus would be to explore, of course! So, head out to the "open seas" of the Hudson or East River for a boat or ferry ride, and discover what a new neighbor has to offer!